Amma Birth Companions is a relatively new constituted voluntary group based in Glasgow. 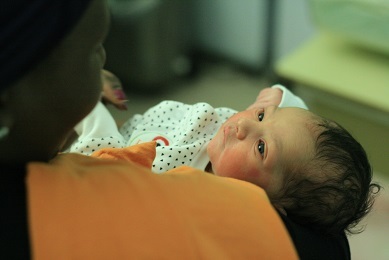 It was established to support asylum seeker and refugee women through pregnancy, birth, and becoming new mothers. The group will offer focused one-to-one supported, complemented by an open-ended social, user-led peer support group. Referrals will come from partner organisations including refugee projects, health bodies, the Red Cross and others. The Foundation has awarded a grant of £6,438 to Amma Birth Companions at its Trustee meeting in February 2019. The grant will fund the expenses and costs related to providing pre-natal and at-birth support to 25 women over the coming year, plus supervision and learning for ten birth companion volunteers. Outcomes of Amma Birth Companions support for the women are that they will have reduced fear and anxiety, increased confidence and reduced isolation.